This is the first of a few posts today. 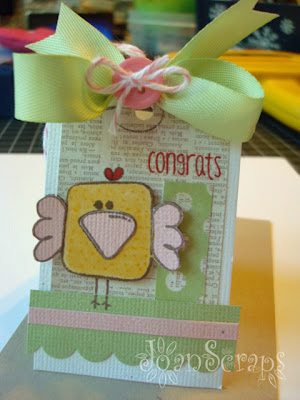 I will be celebrating the World Card Making Day hopefully participating in a few challenges. This first post is not a card, it's a tag. I recently made a tag for one of my projects out of scraps of paper. It was so easy and fun that i decided to make tags out of scraps of the cards I make as soon as I finish the card. This will help me reduce the amount of scraps.... like tons of them!!! 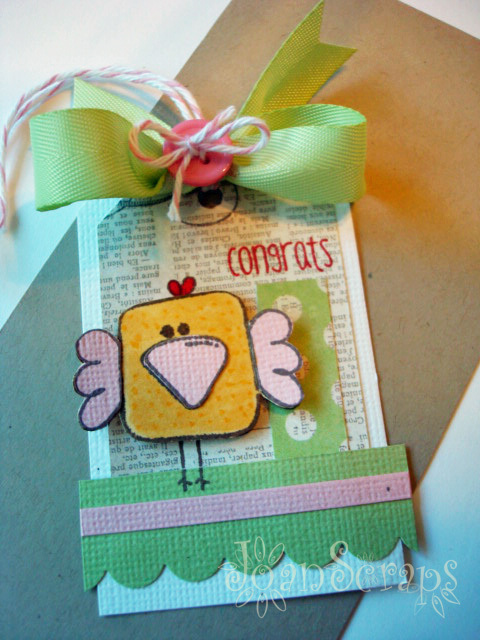 So, with ths scraps of >>this card<< I made today's card. 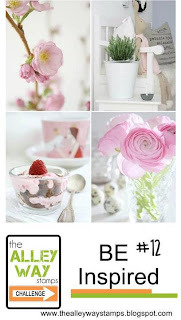 I used the color scheme for the TAWS Be Inspired Challenge #12. Have I told you I'm in love with TAWS??? Today posts will be short and to the point because I want to make lots of cards and participate in the forums. I already drank my cup of coffee and have a pitcher of iced black tea... I need energy!!! Me mataste con el pajarito. Esta hermosa la tarjeta. SO sweet! I love the newsprint background to all of those sweet colors. So glad to see you at TAWS BE Inspired! que preciosura! ese parajito está super mono. 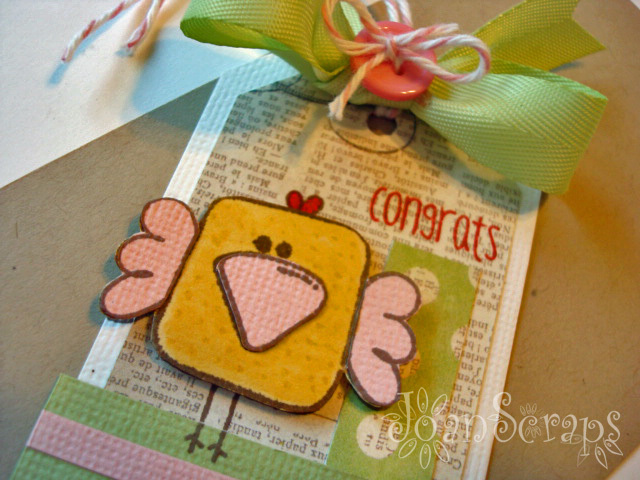 this is totally adorable...Thanks for joining us at The Alley Way Stamps...Be Inspired Challenge. What a super adorable tag!! love the color combo!! !